Frederick Douglass Boulevard (FDB) in Harlem from 110th to 125th Street is known as restaurant row. 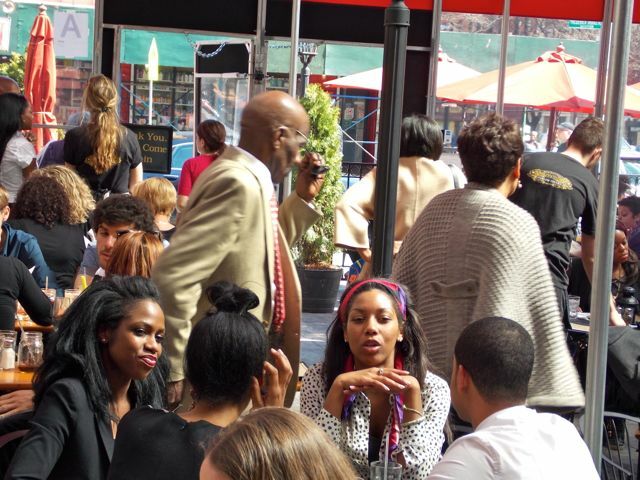 Located on the corner of 116th Street, just blocks away from the area’s historic Central Park and Morningside Park, Harlem Tavern offers the ideal space for all events and dining experiences. The family friendly place has something for everyone, from a Kids menu to tasty cocktails and craft beers. 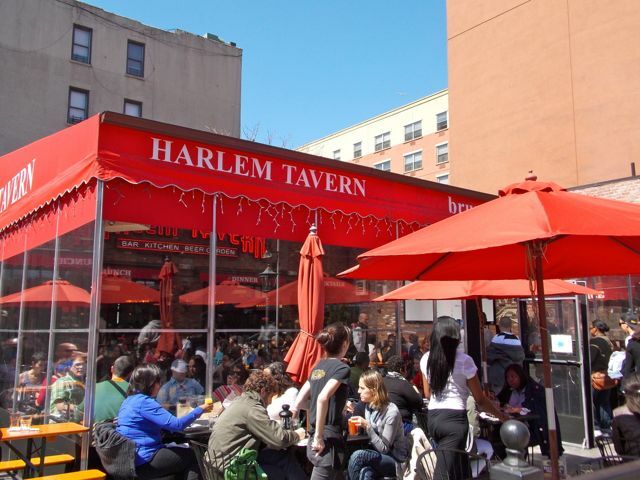 Harlem Tavern is a huge space, which was converted from a rusted gas station, has become a hot brunch spot in Harlem. One beautiful Sunday we visited Harlem Tavern to try their famous brunch. Warning! There is a line to get in! They told us there would be 20 minutes wait and gave us a pager. In less than 20 minutes, the paper’s huge alarm went off and the wait staff seated us near back dining area. All brunch menus are priced at reasonable $14.95 including one drink (the choice of soda, juice, coffee, bloody Mary, Mimosa, Bud Light or Yuengling draft). Cornflake Crusted French Toast seems to be very popular here as many women were ordering that dish but I’m not in the mood for sweets today so I decided to have Harlem Tavern Sliders ($11). The items on the menu are diverse, Pasta, Steak, Fish, Chicken, Burgers and Sandwiches are all on the menu. 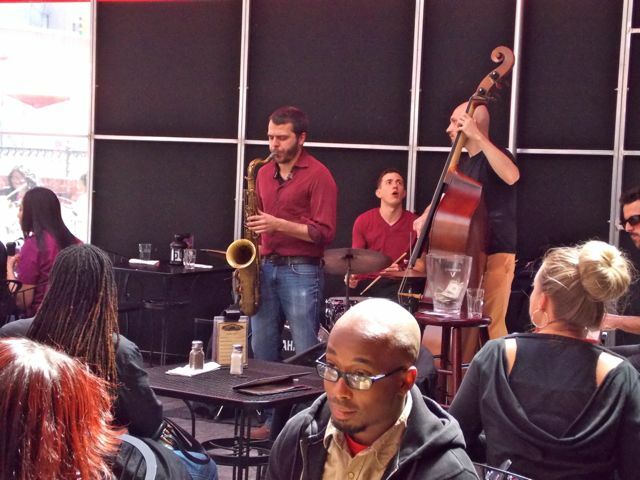 Harlem Tavern will also have a jazz brunch open on Saturday and Sunday from 10pm to 4:00pm. 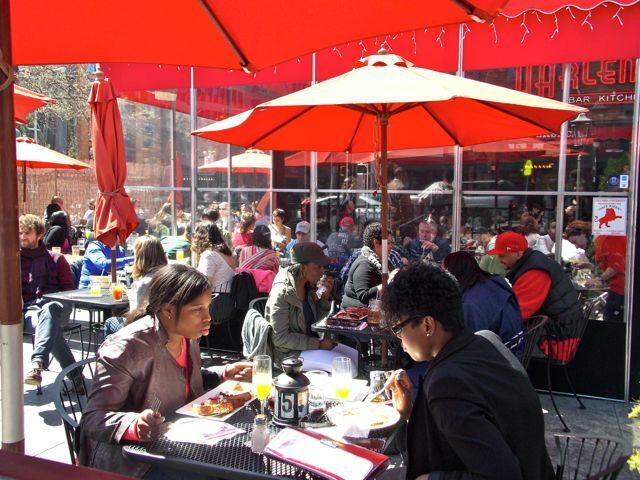 This entry was posted in Brunch In Harlem, Restaurant, Uncategorized and tagged Brunch, brunch menus, Cornflake Crusted French Toast, craft beers, Frederick Douglass Blvd., Harlem, Harlem Tavern, harlem usa, jazz brunch, morningside park, New York, restaurants, slider. Bookmark the permalink.